I am one of those people that mosquitoes LOVE. I can be in a group of fifty other people who are all just fine and get bitten 20+ times in the course of 15 minutes. It’s awful. Unfortunately I have passed this trait along to my three young sons and all three also have terrible reactions to the bites, just like I do. The bites not only itch, but they swell up so badly that I’ve had to give my boys Benadryl in the past to bring down the swelling. This year I made vats of my favorite bug bite balm and I wanted to share the recipe with you all in case anyone out there is in the same boat! Melt coconut oil and beeswax in the microwave for one minute. Stir well to melt the beeswax and microwave in 30 second intervals if not completely melted. 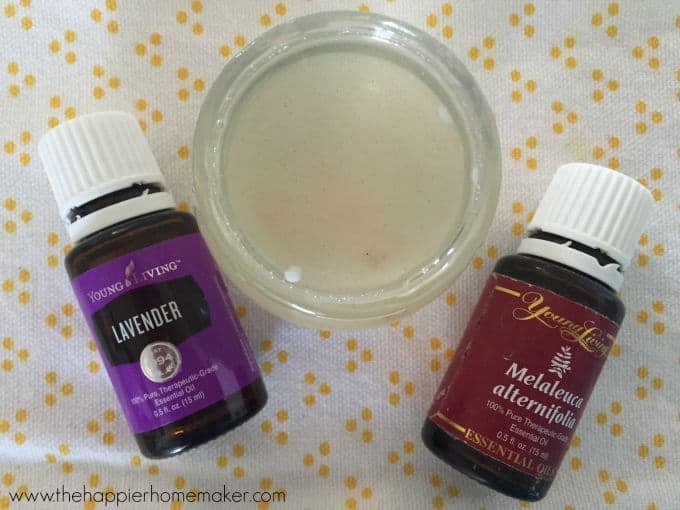 Add essential oils to mixture and pour into container. Refrigerate until hardened (you can harden at room temperature but it takes much longer!) You can keep this at room temperature but I like to keep it in the fridge as I find the little bit of extra coolness gives an instant relief for really irritated bites! 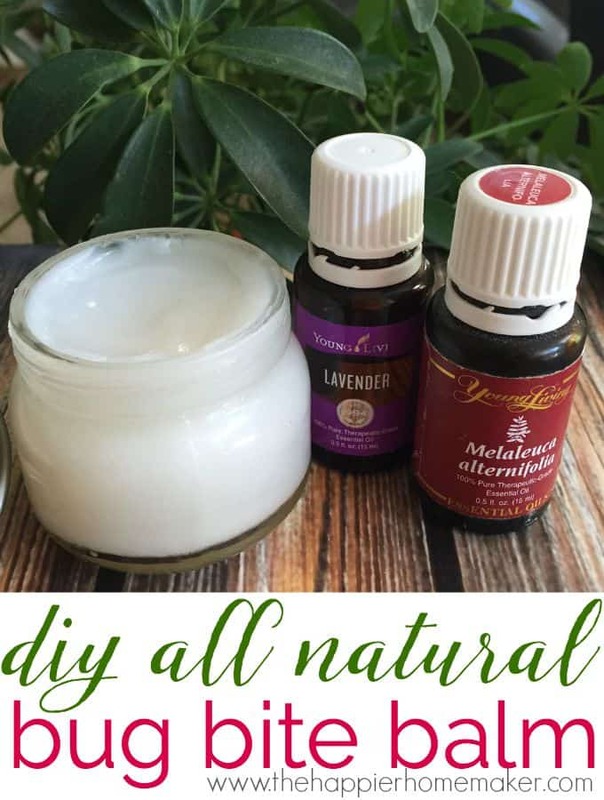 For more mosquito fighting strategies try these mosquito repelling plants and this easy DIY Citronella candle! Love your posts Melissa!!! Intend to get into using the essential oils. You have really peaked my interest. I’m saving up my money now to get a “basic” kit to begin with. May take me a few months, but I’ll get there!!! Hi – thank you for sharing this recipe. Can I use this on my grandson who is 16 months old?